When it comes to grilling, there are many tips and tricks that can improve your entire meal. One of those tips is grilling meat over real wood, as the fumes burn flavor up into the meat. This can be hickory, apple, cherry and even Jack Daniels BBQ flavoring for example. These grill pellets are very popular with regular BBQ enthusiasts who enjoy good-tasting meat. If you are a beginner to the grilling world however, then perhaps you will not be as knowledgeable on what’s good for your BBQ and how to improve your cooking. In this article we are going to provide some advice on what to look for when purchasing grill pellets, along with a product review on one of the most popular bags of grill pellets, the RecTec Grills ultimate blend pellets. We hope this will inspire you to grill better, and find the right products for you – and your grill. There are a couple of things you should take into consideration before purchasing grill pellets. When you start shopping for grill pellets, you will begin to notice that a lot of them feature on the pack whether they are natural or not. If they are natural, this means that they have not been blended with added fillers or additives. Therefore, your will be burning 100% wood and nothing more, with no fear of chemicals seeping into your meat. 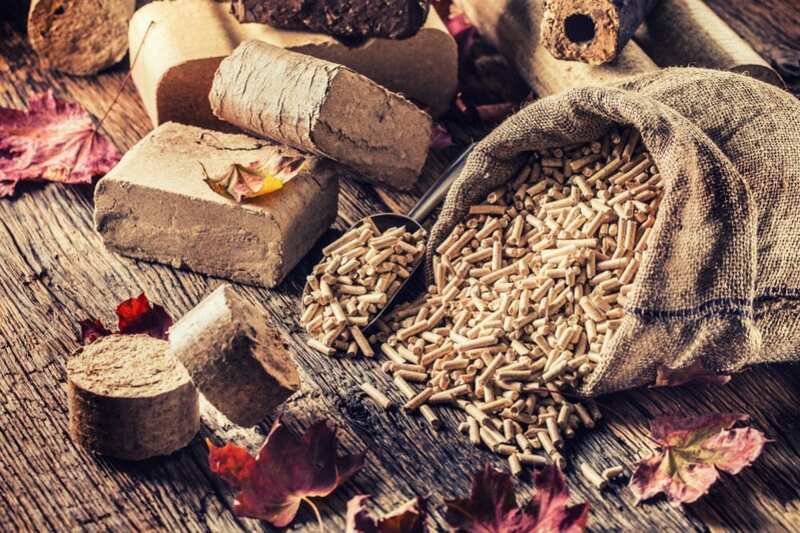 The best pellets to purchase are those which are as natural as possible, and these are also guaranteed to provide the best taste over non-natural pellets, or gas. The size of the individual pellets is also a factor to look out for. Too small a pellet will mean you have to use up more of them to get a good fire going. This means you will need quite a lot of pellets, of course depending on the size of your grill. Too large a pellet, and they may clog up the coils of the grill. Quality is also a factor to look for. Cheaper grill pellets may claim to be good, until you open them and find that 50% of the bag is actually sawdust, and not very much to work with. Therefore, we highly recommend doing your research and finding a brand of grill pellets that have come from experts in the field of grilling. Do They Work With Your Grill? Before you run out and purchase the first set of grill pellets you can get your hands on determine whether they are compatible with your individual pellet grill. Most grill pellets will usually work with all outdoor grills, no matter what they are made of, whether gas, electric, stone or brick. But just to make sure you don’t ruin your grill over a simple mistake, try to find if they will suit your grill and even ask the clerk when you purchase it. When you purchase grill pellets you will notice just how many different varieties there are to choose from. You will be able to purchase a range of different flavors, each which will do your meat justice. Now we will take a look at one of the top grill pellets on the market, the ultimate blend pellets by RecTec. Are you looking for pellets which will give your meat a sublime flavor? Then look no further as RecTec Grills has the solution for you. Their ultimate blend pellets are a quality blend of oak and hickory, and are guaranteed to provide a tasty BBQ on any grill. RecTec Grills specializes in grills and accessories, and their ultimate blend pellets are one of their top-selling products. Their ultimate blend pellets are sure to give your BBQ a boost in the flavor department. If you really want a new way to improve your meat’s flavor on the BBQ, then the RecTec pellets will help you out. These ultimate-blend pellets are composed of 100% oak and hickory natural hardwood, blended to give your BBQ a truly delicious flavor. The best thing about these pellets is that they will work with every outside grill. Whether you have a gas, stone, brick or electric, these pellets can be used with them all. You can therefore relax knowing that you can have tasty meat over and over again with the RecTec Ultimate Blend Pellets. You will find that a lot of pellets are usually blended with extra fillers and additives which tend to lessen the final flavor. 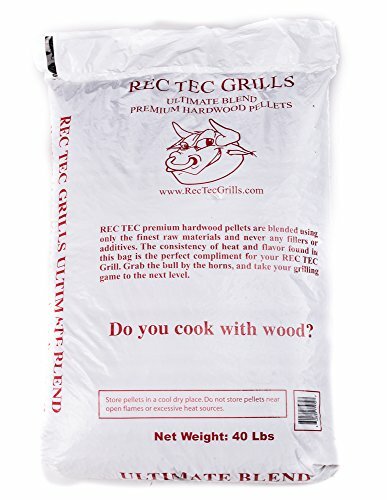 The RecTec grill pellets are completely natural and do not include any extra added fillers, so you can be guaranteed a good tasty meal which has been cooked over real hardwood. Grill pellets are popular with grillers world over for the delicious tastes which they provide. If you are new to the grilling world, we highly recommend purchasing some pellets to try out on your next BBQ. The good thing is you can find a variety of flavors to suit your tastes, and will always have a new one to try. The RecTec ultimate blend pellets are a popular choice on the market, and are likely to be your go-to buy each time you fire up the BBQ. We definitely guarantee that these grill pellets will improve your meat’s final taste, and surprise all of your guests – even if you are a beginner. We hope this article has inspired you to start grilling better and making the most of your grill with the exciting extras that are available on the market.